During the fair-weather months, equestrian-loving Calgarians are blessed with a world-class facility right on their doorstep, but when the snow starts to fly, Spruce Meadows competitors gallop south to greener pastures. Wellington, Fl. is the go-to destination for many, but a few hours north, the smaller city of Ocala also boasts a thriving winter circuit of hunter-jumper horse shows, as well as a vibrant equestrian culture. With more than 5,000 thoroughbreds coming out of Ocala, Marion County, each year, the region lays claim to the title of “Horse Capital of the World.” (Heard of Triple Crown winner American Pharaoh? He trained there.) Still, Ocala isn’t on the radar for many folks outside the horse world; however, with recent additions in lodging and a wide variety of recreational equestrian activities (as well as a great golf scene), Ocala is earning its stripes as a destination in its own right. 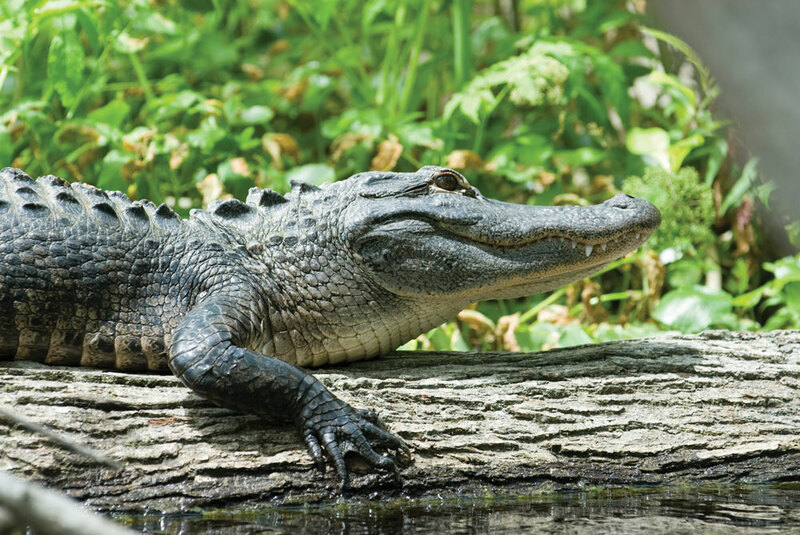 Alligator-spotting is a must-do in Florida. Because no trip to Florida would be complete without it. In Ocala, there are many options to spot gators, including a fish tank at the souvenir shop-gas station found off Interstate 75 at Exit 341, but the best place is Silver Springs State Park. The national natural landmark, often referred to as the “gateway” to the Ocala National Forest, is a 5,000-acre spread that is home to bears, snakes and, of course, alligators. Rent kayaks or canoes to take in the aquatic life, or, if you’d prefer to be in something sturdier when gators are involved, take the guided glass-bottom boat tour. The sheer size of this park will excite any horse lover: 500 acres with a combined temporary and permanent stabling capacity of 282 stalls, a permanent hazard course and a covered arena the size of a football field. Each week, the park hosts everything from riding clinics to rodeos, dressage, obstacle and hunter-jumper events. The park also offers access to the Marjorie Harris Carr Cross Florida Greenway, a mile-wide protected greenbelt that was originally slated to be a canal project connecting the Gulf of Mexico and the Atlantic Ocean. The Greenway’s lush, shady trails lined with oaks dripping in Spanish Moss are open to hikers, mountain bikers and horses, with no rocks or roots to trip you up. If you don’t have your own horse, rent from the neighbouring BG Ocala Ranch. The new, super-exclusive Adena Golf and Country Club, owned and designed by Canadian auto-parts mogul Frank Stronach, is a golfer’s dream come true. The 18-hole championship course boasts a driving range, 40,000-square-foot clubhouse, tennis courts and a restaurant that serves grass-fed beef and free-range chicken. You’ll need to go as the guest of a member, but even if you can’t score access to Adena, not to worry – Ocala’s gently rolling tree-lined terrain boasts more than 20 courses, including public facilities. If you want to play one of the private courses, check into reciprocal arrangements with your home club. One Ocala bar in particular will have a familiar ring for Calgarians. Cowboys Saloon American Bar & Grill has a 2,500-square-foot dance floor, mechanical bull and nightly line-dance lessons. The connection is no coincidence – one of the owner-partners is local bigwig Bobby Genovese (the “BG” in BG Ocala Ranch and BG Ocala Polo Club), a Canadian-born celebrity capitalist and elite polo player who resided briefly in Calgary in 1996, when he won the Canadian Open polo competition and frequented the Calgary Cowboys during the Stampede. Calgary Cowboys made such an impression, Genovese had to have something like it in Ocala. He has since expanded the concept to several other U.S. locales as well. It makes sense that an equestrian-focused destination would also have a thriving polo scene. If you’ve always wanted to learn how to play, the BG Ocala Polo Club has a string of quiet school horses and instructors from Argentina to help you start hitting balls. Rather watch the sport of kings instead? Take in a match for free on Sundays at the Florida Horse Park. Luxurious, oak-studded estates comprise the heart of Ocala’s horse country. 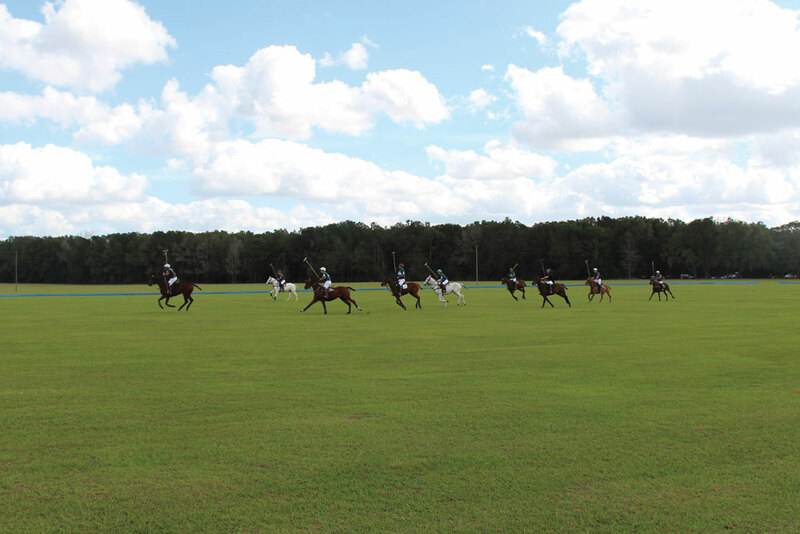 This is where you’ll find Genovese’s BG Ocala Ranch – a polo school, fledgling polo club and luxury estate rental rolled into one. Visitors can stay in an eight-bedroom, 10,000 square-foot Great House or guest cottages spread discreetly throughout a 100-acre spread. 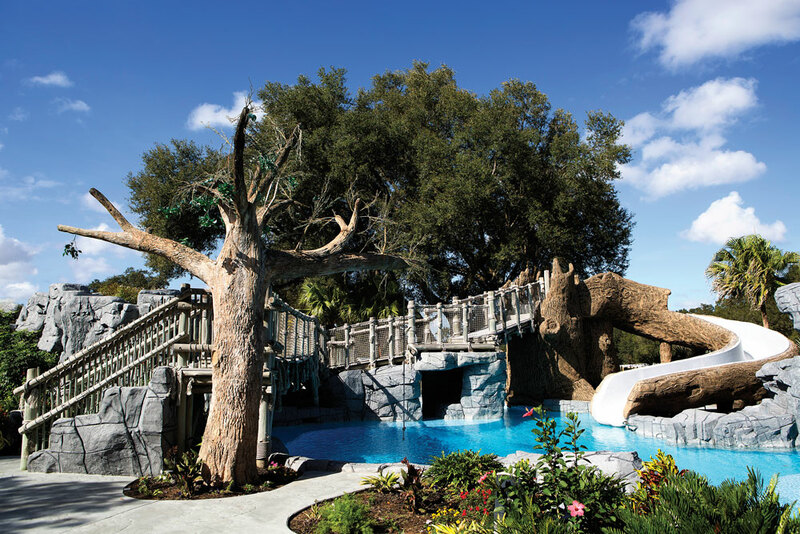 A waterpark, climbing wall and a train that circles the property make it a favourite for family reunions and corporate retreats. Located next door to the Florida Horse Park, the ranch also has easy access to hundreds of miles of riding trails and a beautiful polo field. After undergoing a six-month renovation in 2015, the 50 guest rooms at this boutique property now offer a more modern take on the ’50s vibe in subtle tones of white and grey. Luxurious linens and flat screens might not be what you expect in a motel where room rates average US$75 a night, but the social factor could be the most surprising aspect of your stay. After greeting you with a glass of wine upon check-in, the motel encourages you to enjoy the scene at the fire pit and get to know your neighbours. Just a few minutes’ drive from Ocala’s historic downtown square, Sun Plaza is also conveniently close to Silver Springs State Park. This fine-dining restaurant is known for its exceptional wine program. Customers can choose from 104 varietals served by the glass from a high-tech wine-dispensing system installed in the moody-blue bar. The food menu items are few, but mouthwateringly delicious, ranging from a bright watermelon soup to a traditionally prepared beef tenderloin. For local flavour, try the Florida grouper with succotash. Located in the heart of Ocala’s historic district, Harry’s brings the flavour of New Orleans with grilled steaks, po’boy sandwiches and crab cakes. Homesick for a Canadian Caesar? The Rajun Cajun Bloody Mary has a fiery spiciness that could kick the Calgary-born cocktail into the nearest swamp. Professionally, Judy Black is the fund development manager at WinSport, but as an amateur equestrian rider, she spent 18 ribbon-ranking years in the hunter-jumper world, which meant multiple trips to Ocala. Over the years, she discovered the best the Florida city has to offer, inside the riding ring and out. In keeping with her equestrian interests, Black highly recommends a horse tour that the whole family can enjoy. Black also advises visiting the Village Square at the heart of Ocala’s historic district. “It has shops, restaurants, an outdoor farmers’ market, a gazebo and pretty twinkly lights at night. It’s a gathering place,” she says.